This special edition jersey celebrates the NRL’s rich indigenous heritage and the Vodafone Warriors 25th anniversary as a team. The Jersey brings together designs synonymous with indigenous culture in Aotearoa. The colour of the jersey and the shades of grey represents the clouds - Aotearoa meaning land of the long white cloud. The design pays respect to Māori - tangata whenua (people of the land) - the indigenous people of New Zealand. The bottom half and sleeves of the jersey feature kowhaiwhai patterns - the Mangopare (Hammerhead shark), Mangotipi (Great White shark) and Koiri representing attitude, ability and mindset. 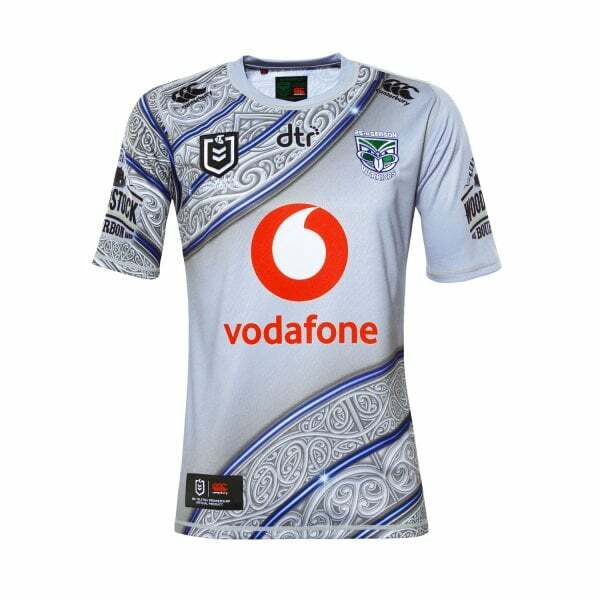 Canterbury’s On Field Indigenous Jersey is a special edition jersey for serious league fans. Not only is it a celebration of rugby’s rich indigenous heritage, it was also created to commemorate the Vodafone Warriors 25 years in the NRL. It includes a new 2019 jersey silhouette with cross over low profile neck and a reinforced collar with added stretch tape; both of which mean a more stylish, comfortable and durable garment. With a VapoDri moisture wicking finish, this jersey is suitable for the training field or the man cave and it’s available now in Canterbury’s 2019 On Field collection.